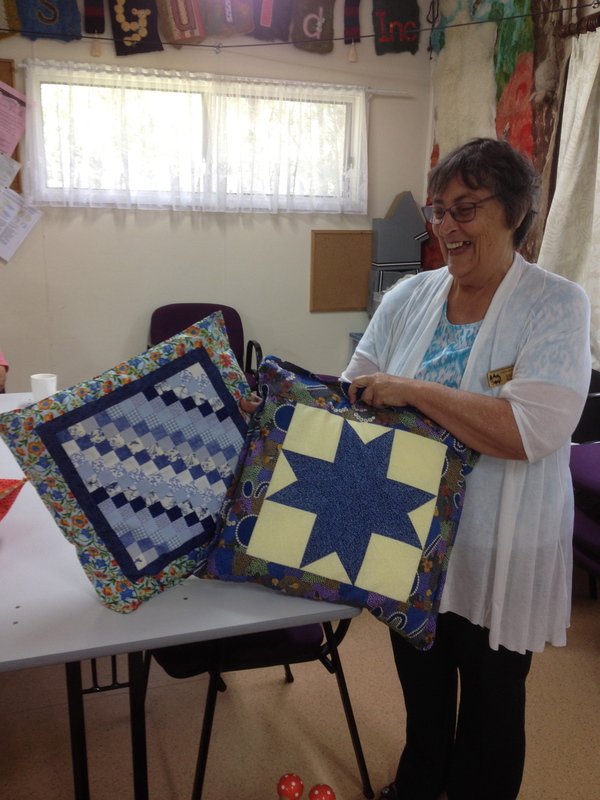 Eileen has used some lovely patchwork squares, which were donated to the Guild. As they didn’t go well together, she has instead made each one into a cushion. They were immediately seized upon as the new “must have” at the table. By Debbie.